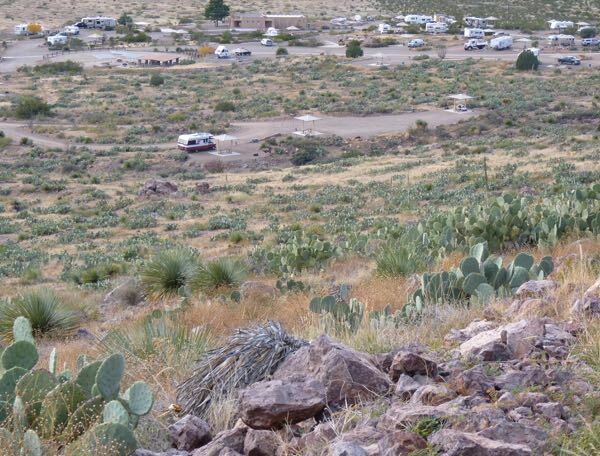 While at Rockhound State Park outside of Deming, I decided to take a hike up the hill behind my rig. It turned out to be a walk through a maze of cacti. What was I thinking?! I knew there was a trail along the face of the Little Florida Mountains behind my camp. Rather than going to the trailhead, I just struck out going directly up the hill. 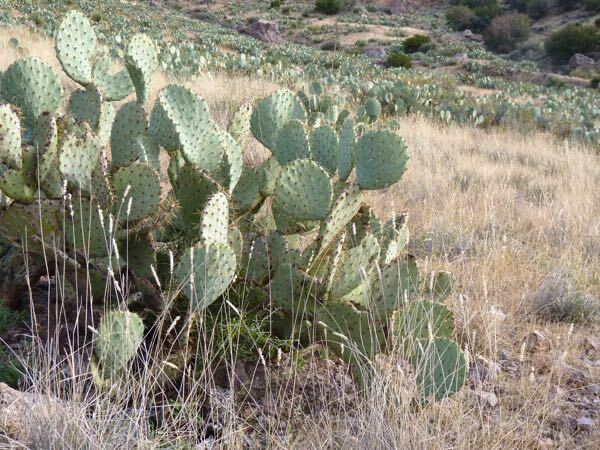 I soon found myself surrounded by the prickly pears. There was no escaping, as they were everywhere. A glance across the hillside showed them as far as the eye could see. But, I managed to find a path between them. 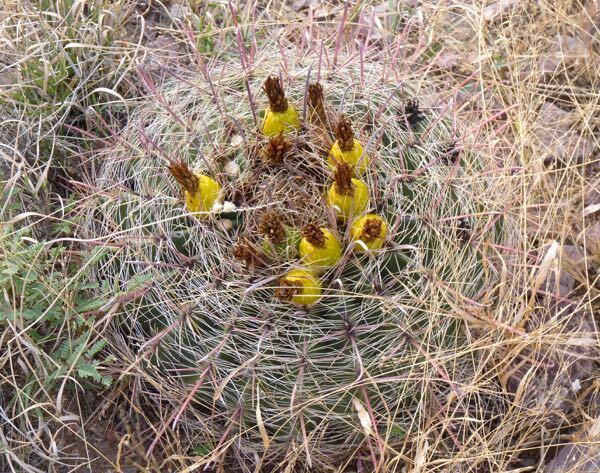 A single barrel cactus had some buds atop. Once I reached the trail, I looked back down the hill at Tardis. Notice the field of cacti I had to traverse. As you can see, my campsite was away from the crowd. And, that’s just how I like it. I finished the hike, and arrived back at my rig just before sunset. 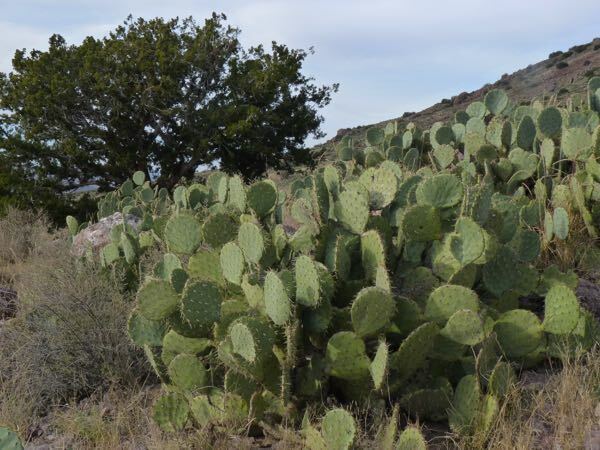 Most of the clumps you see, from the foreground to the rock outcroppings, are prickly pears. It was a sticky situation; but, I enjoyed the hike anyway. The other trail that leaves that trail you took and winds around down to the visitor center is pretty interesting also. 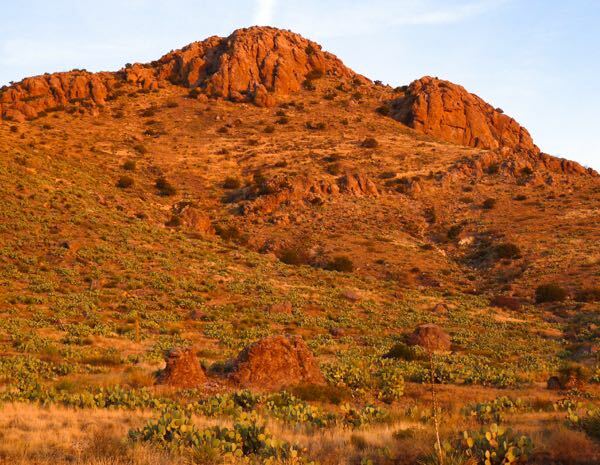 Spring Canyon SP nearby has a couple of trails that are worth the hiking also. You are so correct Barney. I did both of those trails last year. Spring Canyon is a really pretty day trip. 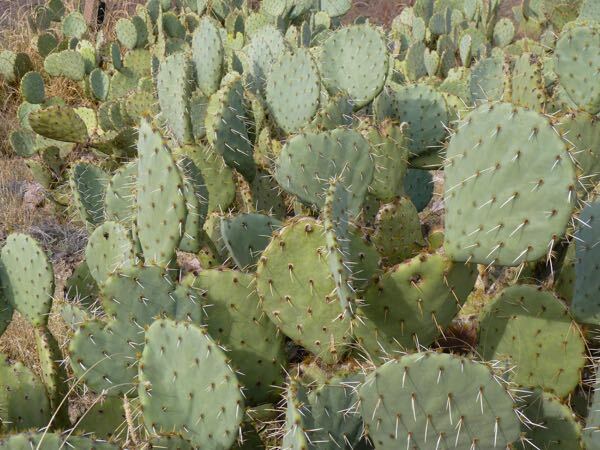 I would hate to be surrounded by cactus – did you get through it without getting stuck by the thorns? I was only surrounded because I took that shortcut. Being very careful allowed me to avoid getting stuck by any thorns. It was quite an adventure! This adventure of yours is one I may want to enjoy from a wider trail. For sure the designated trail was less stressful. Hope you have the opportunity soon.